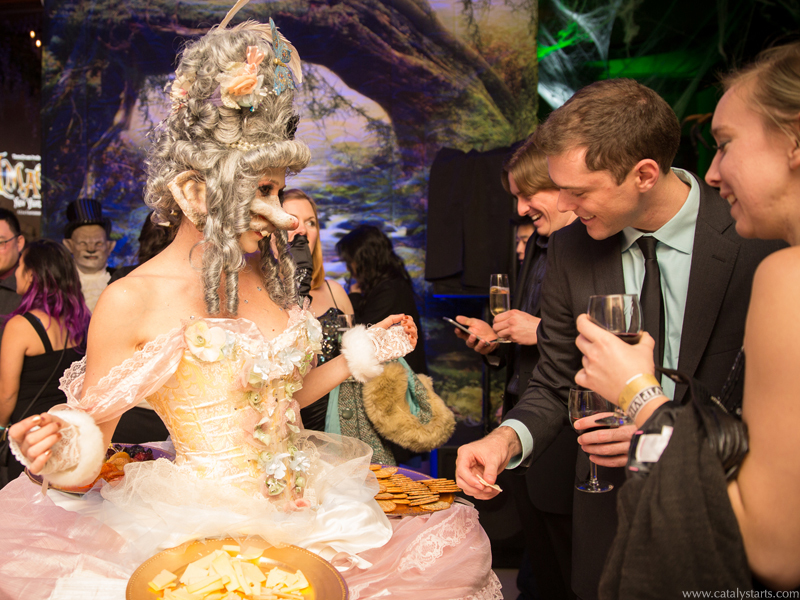 These elaborately costumed hostesses in addition to delighting your guests also fulfill a practical function of helping get food, treats, and drinks distributed to them in an efficient but novel way. 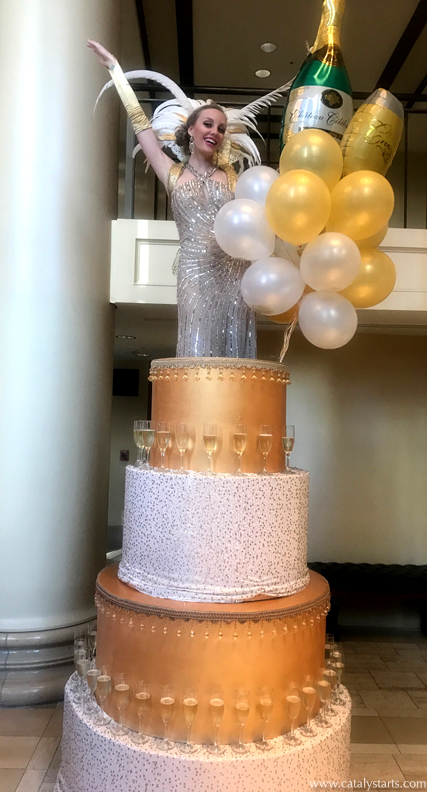 One of our specialties since the beginning- we are always expanding and evolving our hospitality entertainer offerings and happy to customize our characters to suit your events theme & decor. 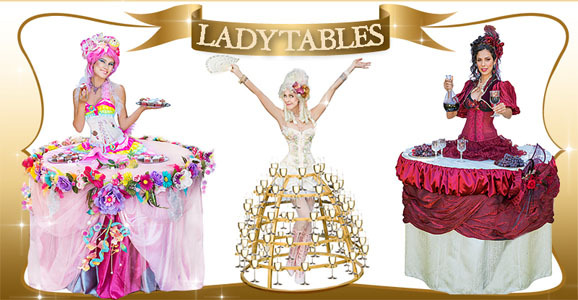 We are pleased to Announce that Lady Table Hospitality Entertainers are now available in Los Angeles & Southern California! 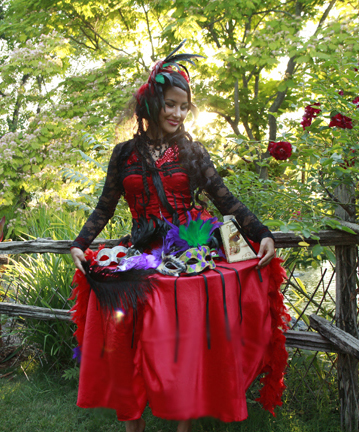 Aristocratic French Fromage Serving Skirt– aka Mouse Cheese Skirt! 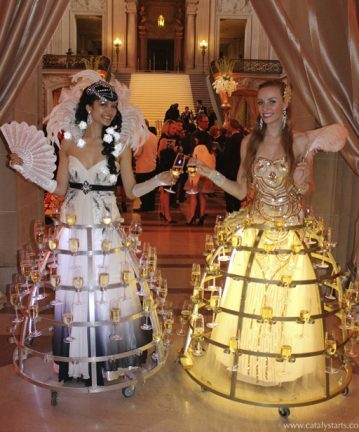 A delightfully unique way to get nibbles of cheese to your guests in style. Pairs nicely with a Wine Skirt. 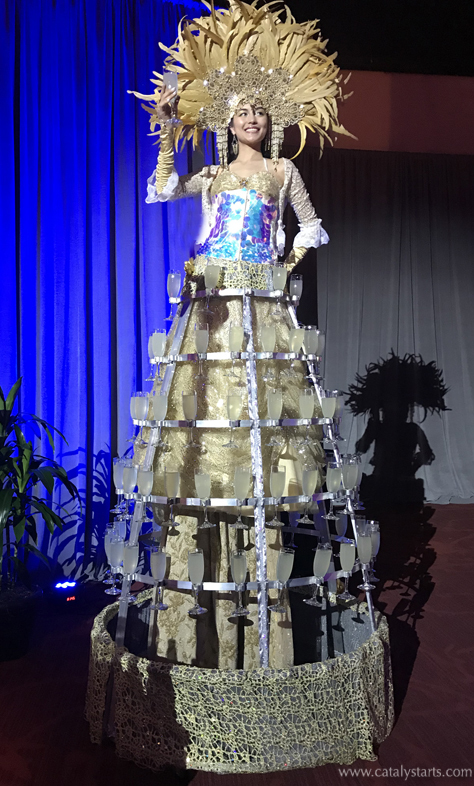 New in 2017 this Deluxe Drinks Dress serves up to 120 glasses to guests at 8-8.5 ft tall… Sure to make a big impression– she can also have a bar height tray that holds up to 4 garnishes and 2 bottles. 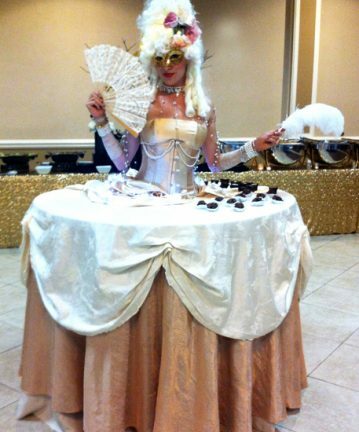 So you can have a pouring or tasting of any drink of your choice on this wraparound tray.